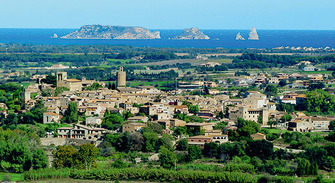 The rental of apartments in the Estartit during the holiday period is a good opportunity to practice activities such as hiking. One of the best places in the area for this is the Montgrí Natural Park, which offers up to 11 hiking trails in an area of 8,200 hectares spread over eight locations. All of them, nevertheless, have a common characteristic: they are ideal to enjoy them in family and especially thought to realize them with children. And not only that, since they are a unique opportunity to enjoy the natural environment of the area and its unique environmental wealth.